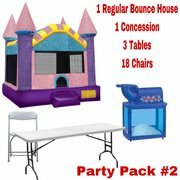 Everyone likes to save money whenever possible, and at 2 Dads Bounce Houses, we like to provide our customers with the best value. 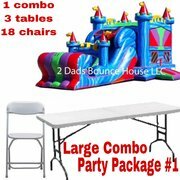 That's why we have created a special category dedicated to giving you the best opportunity to get a package deal when you rent from 2 Dad's Bounce Houses! 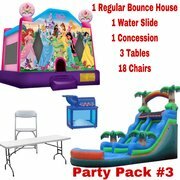 Browse the offers below to find just the right package for your event. 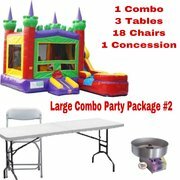 Each Package includes tables and chairs and some include a Concession of your choice. 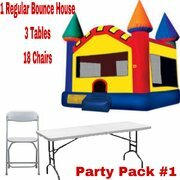 Please call the office at (623)295-9905 to reserve packages or BOOK HERE NOW!! !